Fleas are parasites which feed on the host’s blood whether it is your cat or dog. They survive by continuously feeding on your pet and although they are small there may be many at a time which can affect the heath and well being of your pet. The best thing a pet owner can do is prevent the problem before it’s too late because once they latch on to your pet it takes longer till they are eliminated. 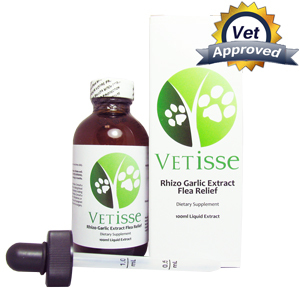 Rhizo Garlic Extract Flea Relief only has one ingredient – Garlic. Garlic has a lot of health benefits including anti-parasitic and anti-septic properties. It also has beneficial properties that helps support pets with cancer, diabetes, liver disease, heart disease, kidney disease, uncontrollable staph infections, etc. 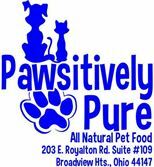 The recommended dosage of Rhizo Garlic Extract Flea Relief to pets is 1tsp once to twice a day depending on your pet. Be sure to visit your pet’s veterinarian if your pet has a history of blood clots, taking blood thinners, diabetes or other medical problems. Do not administer this natural remedy if your pet is pregnant, feeding young, prior to surgery or if your pet suffers from pemphigus. There may be mild GI disturbances due to prolonged use of this product therefore it is recommended that pets take probiotics. This product does not have any known reactions but may cause health problems if too much is taken.